In some cases, you may need direct access to the files on your MagicPress site. You can achieve that by connecting to the MagicPress server using FTPES. FTPES stands for Explicit File Transfer Protocol over TLS/SSL. It is an extension to the commonly used File Transfer Protocol that adds support for the Transport Layer Security (TLS) and the Secure Sockets Layer (SSL) cryptographic protocols. 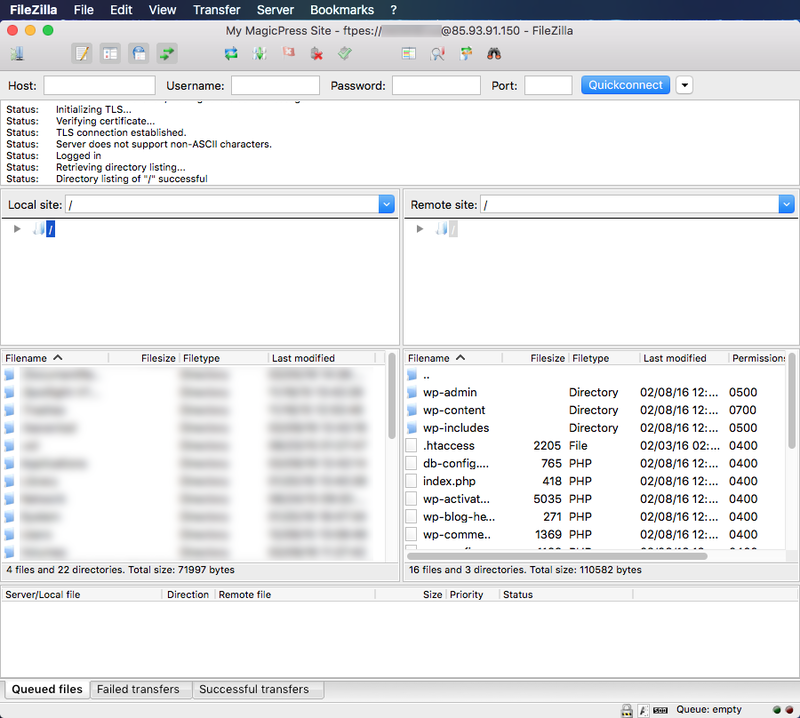 A connection using FTPES starts as plain FTP and is later upgraded to TLS/SSL, before the user credentials are sent over the connection. 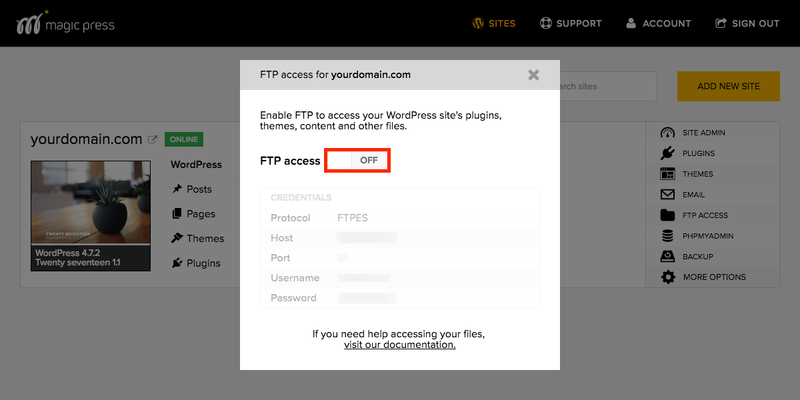 To enable FTP access to your site, click the FTP Access option next to your site in your MagicPress panel. 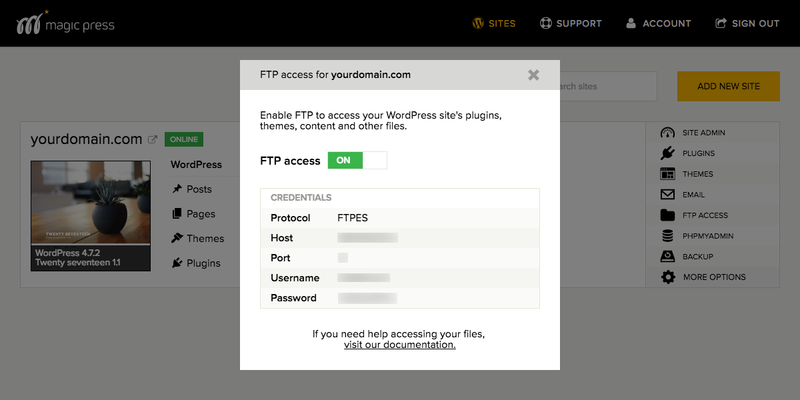 Then click the respective toggle in the FTP access pop-up window. 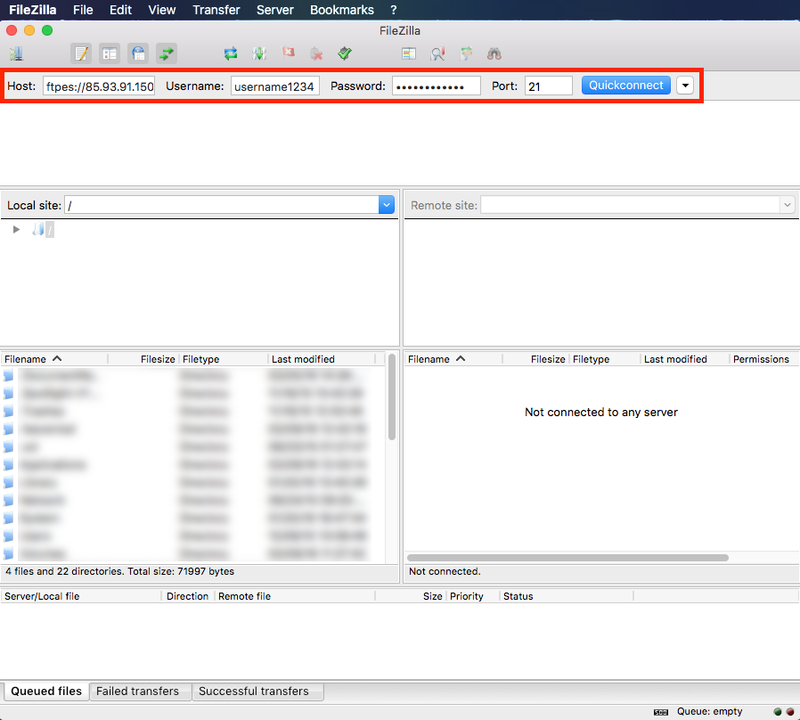 Once FTP access is enabled, you may use the data provided in the FTP access pop-up window to connect to the MagicPress server. Note that the values you need to use will be provided in your MagicPress panel. 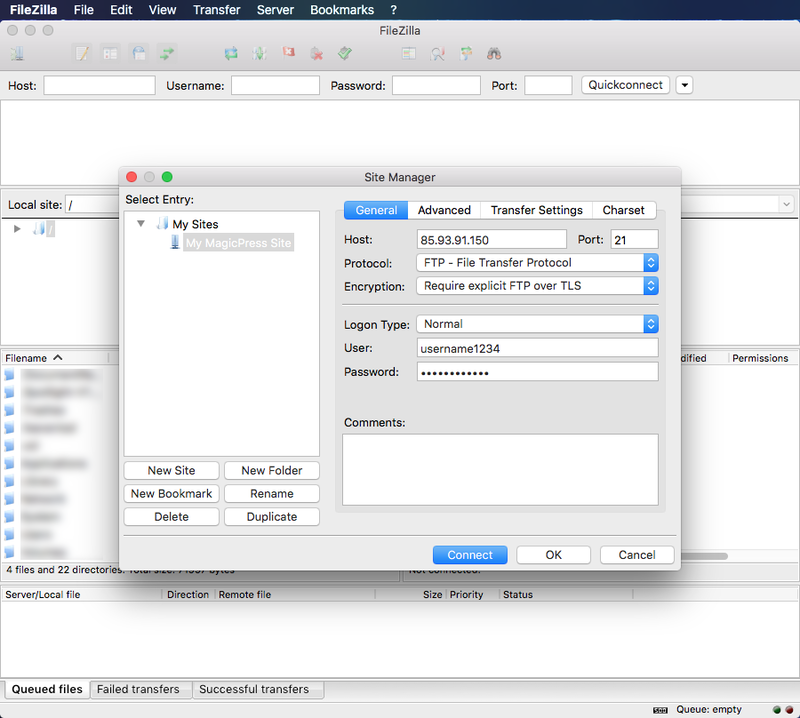 In this example we will be using FileZilla, a free FTP application available for Windows, macOS and Linux, to connect to the MagicPress server using FTPES. To begin, click File > Site Manager. In Site Manager, highlight My Sites and click the New Site button. 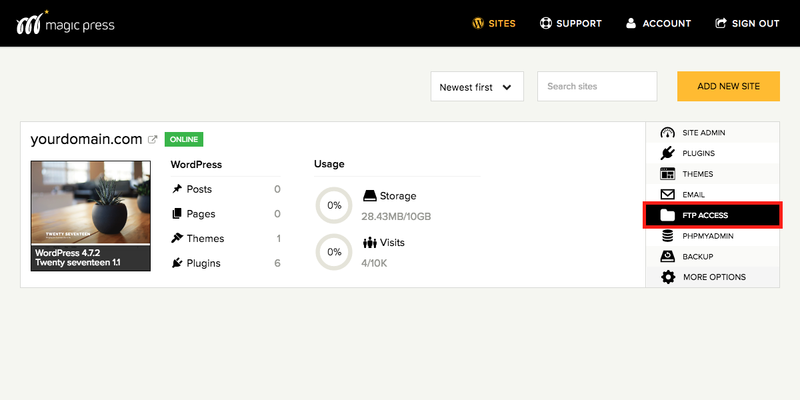 On the General tab, fill the Host and Port fields with the respective data found in your MagicPress panel. 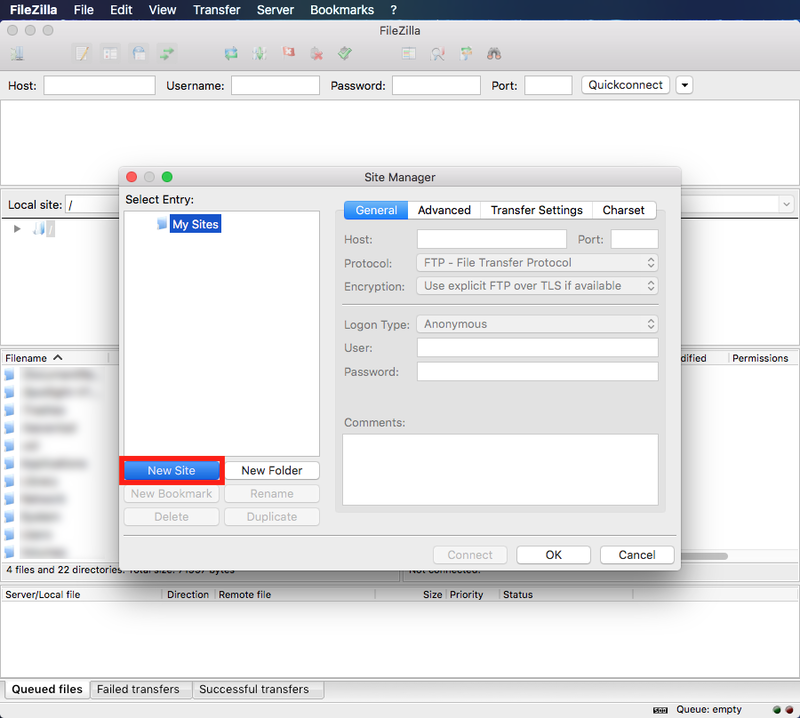 Select the FTP – File Transfer Protocol and use explicit FTP over TLS in the Encryption field. Also, select Normal Logon Type and fill the Username and Password fields with the data found in your MagicPress panel. Now you can either click Connect and instantly connect to your site via FTP or click OK to save your connection settings. Clicking Connect will save your connection settings anyway, so that you won’t have to enter your login details next time. 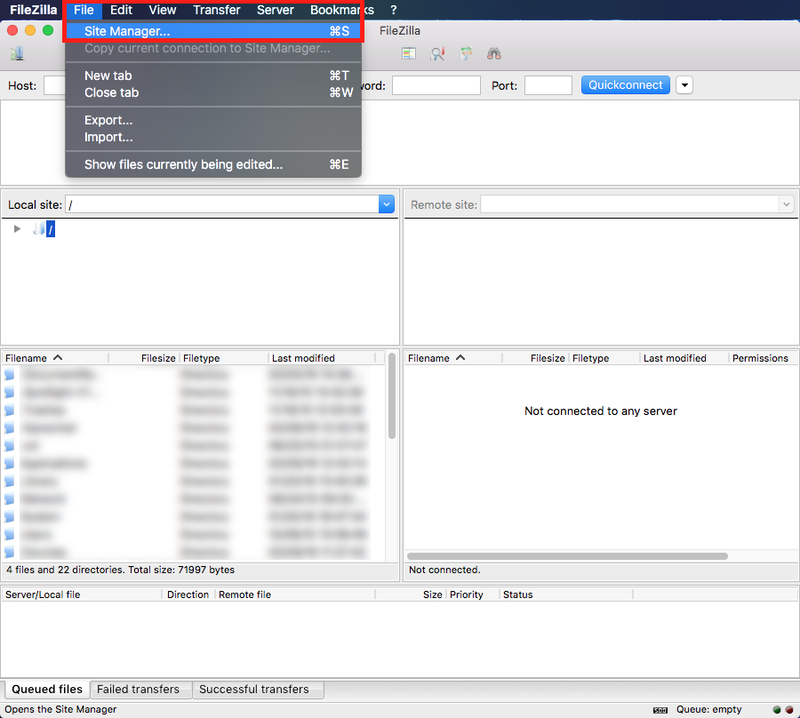 Alternatively, you can open an FTPES connection to your server by using the Quickconnect feature. Simply enter your login details in the respective fields, make sure your host name is preceded by ftpes://, and click the Quickconnect button. Once connected, you have access to the files on your MagicPress site. You can navigate your content and create, edit, download and delete any files or directories in the Remote site panel. You may also upload files from your computer by dragging them from the Local site pane and dropping them on the Remote site panel.